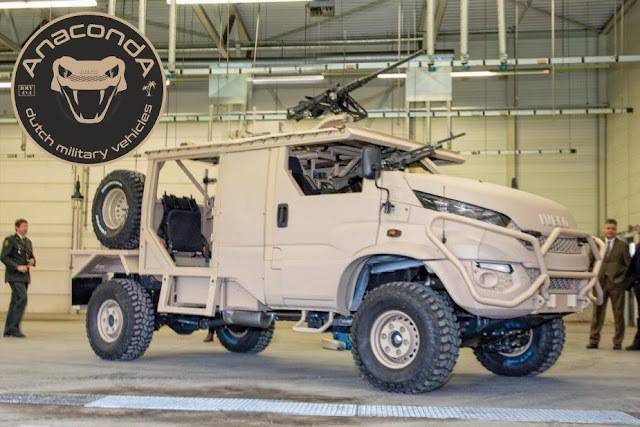 The Royal Netherlands Marine Corps (RNMC) is receiving 46 Dutch Military Vehicles (DMVs) Anaconda all-terrain vehicles the week of 4 February for its forces in the Dutch Antilles, the Ministry of Defence (MoD) announced on 31 January. The first 36 vehicles arrived in Willemstad, Curaçao, on 31 January, to be followed by the remaining 10 in February. Based on the Iveco Daily 4×4, the 6-tonne Anaconda was specially developed for the RNMC, with a priority on mobility and disaster relief.